RBTH gets to the heart of what Russians and Americans think about each other by examining the most searched phrases in Google and Russia’s main search engine, Yandex. Thousands of miles lie between Russia and the U.S. – and that distance does nothing to diminish the thousands of myths Russians and Americans have about each other. What are some of the most strongly held ideas and misconceptions Americans have about Russians and vice versa? We asked Google. How we searched: Results in Google or the Russian equivalent, Yandex tips, are based on the most popular previous searches. The systems can also consider the user’s latest searches, the searches of his or her friends and the user’s location. To even the playing field, we signed out of all our Google and Yandex accounts, cleared the search history, and selected “United States” as our location in Google and “Russia” as our location in Yandex. 1. Why are Russians so rude? Although people with Russian friends and experience of living in the country will tell you this is a common misconception, actually studies show that Russians have only gotten ruder in recent years. 2. Why are Russians such bad drivers? This is, of course, a matter of judgment, but the prevalence of dashcams in Russia has made bad Russian driving more visible than that of bad drivers in other countries. 3.Why are Russians so crazy? Hey, it’s hard to live in Russia. It’s cold and dark a lot of the year. You’d go crazy, too. 4. Why are Russians so tough? See above. 1. Why Russians never smile. Actually, Russians smile. We even have the research from a linguist at Voronezh State University, who explains how to distinguish among 10 varieties of Russian smiles. 2. 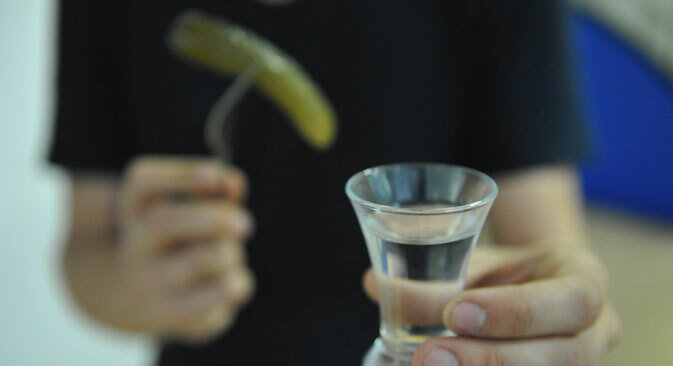 Why Russians drink vodka. It’s not the only beverage available in Russia, really. 3. Why Russians are so strong. Well, you need to be strong to drink vodka and never smile! in January the most popular requests about Russia were “Sochi’, ‘Olympics’, ‘Russian map’ and apparently, just in case, ‘Sochi Russia map’. Last year, Russian Chelyabinsk meteorite was one of the top searched phrases worldwide. What do Russians search about Americans? 1. Why there’s no 13th floor in America. No Russians suffer from Triskaidekaphobia. 2. Why the voltage is 110V in America. In Russia, the voltage in the electrical network is 220V. This means that some Russians or American appliances can be operated abroad only through a special adapter in a socket. 3. Why they wear outdoor shoes at home. One of the strongest Russian traditions is to have shoes or slippers that are only worn indoors. Russians even provide these slippers for their guests. 4. Why they wear wedding rings on the left hand. Russians wear wedding rings on the right hand, some people say that the right hand is the symbol of doing what is right. You can read more about Russian wedding traditions here. 5. Why Kinder Surprise chocolate eggs are prohibited. This kind of candy, which features a small toy covered in a chocolate shell, is extremely popular among kids in Russia. They aren’t available in the US because most of the toys are considered a choking hazard. 6. Why it is so cold in America. This obviously a recent query, given the polar vortex scenario in the U.S.
7. Why cars are cheaper. We’re guessing this is an import tax issue. 8. Why the week starts on Sunday. In Russia, the first day of the week is Monday. According to Yandex keywords statistics, in January,Russians searched also ‘the favorite American food’ and looked for the film ‘Lost and found in Armenia’ (trailer in English), which is about and American tourist’s adventures in a small village in Armenia. They also asked "What Americans think about Russians." Is there some question about Russians you would like answered? Comment here or email us at us@rbth.ru.